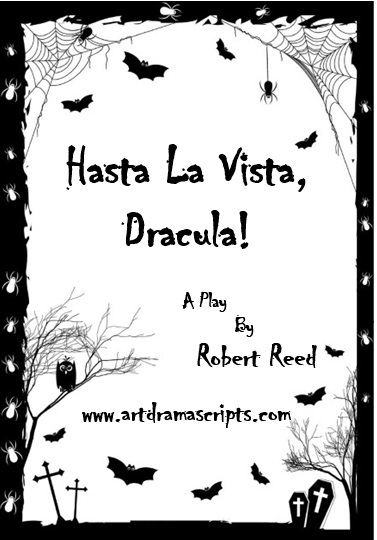 Original stage play inspired by The Raven and The Black Cat. For high school and youth theatre - find out details about the play, read samples and buy the full script with performance rights. Jonathan Harker, newly qualified solicitor, manages to escape from being drained of all his blood by three female pensioner vampires at Dracula's castle. Unfortunately, Dracula is now intent on making Jonathan's wife, Mina, join the ranks of the undead. Joining forces with Professor Van Helsing and several other dedicated gentlemen, Jonathan will not rest until Dracula is staked. Inspired by Edgar Allan Poe’s The Raven and The Black Cat, this modern script involves the themes of evil and punishment for crimes, violence and bad behaviour. The play features two dance scenes, several scary dramatic scenes and some enlightening moments. LEONARDS: Hi, Honey... What’s eating you? Okay, so I forgot Jimmy’s birthday. I’ll take him to the Red Sox game. He’ll forgive me. Listen I can’t make it home this weekend: I’m just going to have to work all weekend. I need to meet with some important clients. You understand, Honey... Honey? (Slowly lowers the phone.) It’ll cost me a diamond ring this time. NARRATOR: I cared about money and power. I didn’t care about my family. I certainly didn’t care about the 42% Americans below the poverty line. I was invincible... Until Hell came scurrying for me. NARRATOR: ‘Sure, Janette’. Lukas Leonards doesn’t fix sandwiches. My emotions were a violent maelstrom: from blind panic to anger in 30 seconds. I was going to call Madden: Flint had some more work on his capable hands. My conscience had now evaporated. I don’t make sandwiches. 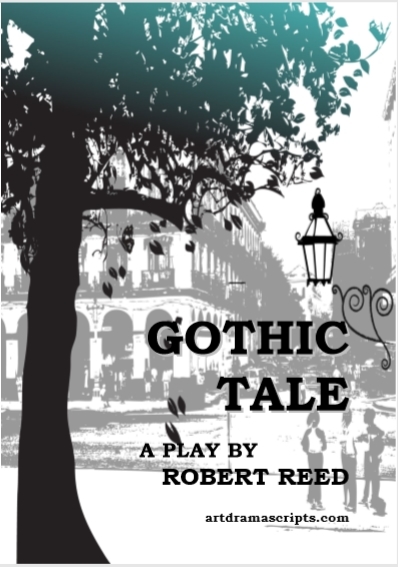 Gothic Tale - Buy script and performance rights online shop. Dracula - comedy Halloween stage play for high schools click here.